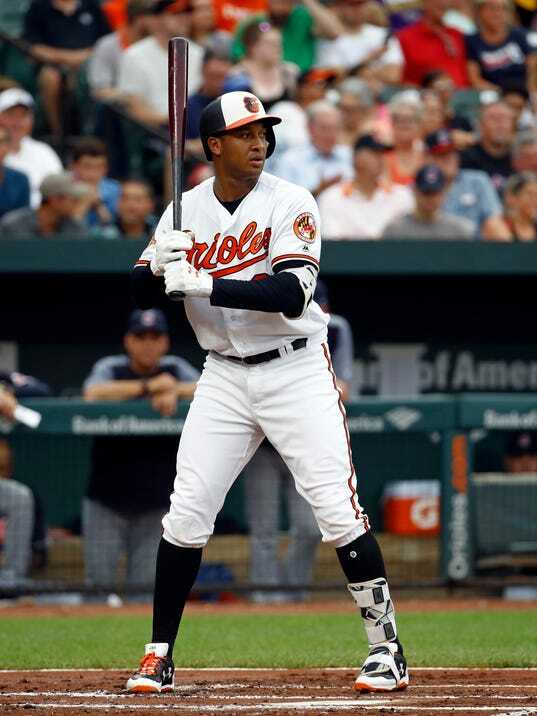 Jonathan Schoop was 2-4 at the plate with 2 RBI and a run scored as the Orioles defeated the Blue Jays 5-3 to avoid the series sweep. The Blue Jays came into this game having won three straight series. They were looking for their first sweep of the season. Here is tonight's game recap. There was a very key moment in the bottom of the 5th. Manny Machado hit a flyball to right that was slicing foul. Randal Grichuk dove for the ball and deflected it foul. The original call was that Grichuk made contact in foul territory. The Orioles challenged and the call was overturned and the two base runners on first and second were allowed to advance 2 bases edoubleach and Machado was awarded a single. Had the original call stood, Estrada had the chance to get an out. Instead the bases were loaded, Schoop singled home a run a batter later and Estrada was out of the game. Through the first 3 innings, it looked like Marco Estrada was going to replicate what Aaron Sanchez did last night. Estrada had a no-hitter through three innings. In the 4th inning, the Orioles got to him with a pair of doubles, a single and a walk. Estrada was forced to throw 30 pitches in the inning. The Orioles appeared to be looking for his change-up and were not missing on it today. Baltimore did a good job in limiting the damage of the Blue Jays offence. Gift Ngoepe (who has just one hit this season), Randal Grichuk (0-4 tonight and .077 and is tied with Ngoepe with a team worst batting average) and Devon Travis, who flied out as a pinch hitter are really struggling at the plate this season. These three need to get it going at some point. Luke Maille is playing really well this season. He was 2-3 at the plate tonight and is batting .400 on the season.